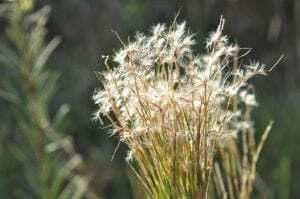 Little Bluestem is a long-lived clumping grass that is invading grassy vegetation, pastures, roadsides, disturbed sites and waste areas in south-east Queensland. This species is native to large parts of Central and South America, from Mexico to Uruguay, but it has only come to our attention in Australia in the last 5 years or so. For more information on Bluestem, please click here.